When you fill your life with clutter (unneeded) things you block the way for abundance which can lead to fulfillment of goals and a life of serenity. Just recently I decided it was time to "size down" my life and to my amazement I have already packed up 20 boxes of STUFF that no longer hold a place of significance in my life. You may be wondering what was contained in those 20 boxes. Well there were clothes I had not worn in over 10 years, nick knacks from as far back as childhood, an old toaster, glassware,etc...I could go on and on but you probably get the drift. STUFF that was just taking up space and until I started the project, I had not thought about in years. 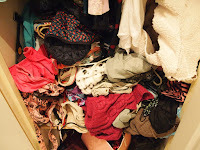 Just getting rid of clothing I never wear made it so much easier to pick out something to wear without rummaging through what I now call dead pieces. Let's examine a few good reason to declutter our homes, our workplace, our calendars, our emails, literally every aspect of our lives. Your home should be your castle and when there is an array of "UNNEEDED THINGS" it can leave you with a feeling of wanting to retreat. You can come to the point where you feel your home is the enemy because in it you feel a sense of being unsettled. Instead of being your sanctuary it becomes a major contributor to ones stress where your mind literally never has a chance to shut down but stays in a constant state of thinking. The unquiet mind equals countless nights of unrest. Do you find you tend to eat more unhealthy snacks when your environment is clutter. Enter into a kitchen with the counters full from one side to the other your brain can actually short circuit leading you to a world of chaos and stress. An Australian study found in an experimental kitchen that was disorganized and messy the test subjects ate twice as many cookies than those in a kitchen that was organized. They concluded that you can feel totally out of control and reach for more sweets in the cluttered environment. It is more difficult to interpret feelings if your visual surrounding are filled with random stimuli. 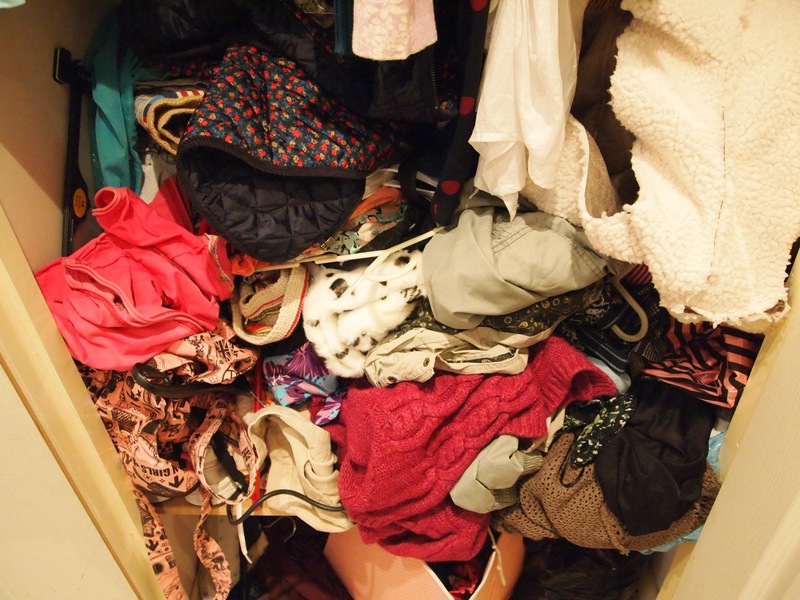 I can site a personal experience from visiting the home of a family member with a hoarding problem. I had seen on television homes of individuals that were hoarders but nothing could have prepared me for walking into a space where there were things all around me from the floor to the ceiling with only a narrow pathway to walk through. To this day I struggle with that experience and it has taken great effort to continue to interact with that family member to try to make sense of how someone can exist in that environment. When you can’t find things, you feel frustrated, angry, and unproductive. Set a goal for yourself and start one area at a time. My first one was my closets and basement storage area. With that completed, I moved this morning to a big one...EMAILS. Think of the amount of time you spend sifting through useless emails. I began the process of unsubscribing from most in the promotional folder...that has taken 2 hours so far and I will move on until I have them all completed. I realize it may take several attempts to get rid of promotional emails, because they want you to spend $$$$, but I envision the morning where I go to my inbox and all that is there are emails relevant to what I WANT or NEED. If you find the task of decluttering is too much to handle consider reading "How to Declutter Your Life-Creating a Game Plan" or enlist the service of a professional organizer. Whatever it takes, you will find the chore is well worth the reward.